There’s an outdated tradition in the DC Comics universe of giving every superhero a counterpart who can be reductively referred to as the hero’s “girlfriend.” Some of them, like Lois Lane, have been fleshed out over the years and turned into proper characters, but that’s pretty rare. Most are still generally perceived as an extension of the superhero they were created as a love interest for, no matter what their individual merits. Variety is reporting that Amber Heard is now in talks to play one of those characters in the Justice League movie, but there’s no reason we need to continue with this sexist tradition. 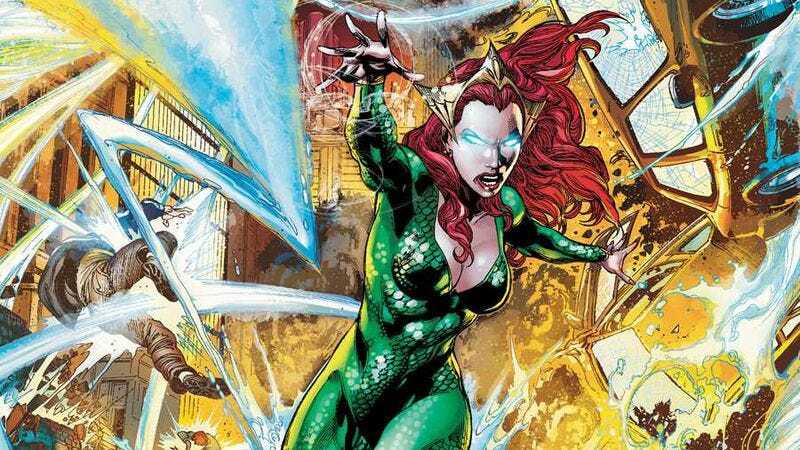 The character Heard is interested in playing is Mera, the woman typically seen as “Aquaman’s girlfriend,” but there’s more to her than that. She’s the queen of Atlantis, for one thing, and she has the ability control water and manipulate its density to create different shapes. That’s arguably cooler—and more useful—than Aquaman’s stupid fish-communication powers. If Heard takes the gig, she’ll reportedly make her first appearance in Justice League and will play a larger role in director James Wan’s solo Aquaman movie, which will star Jason Momoa as Mera’s love interest.